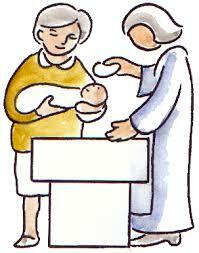 Preparation for the Sacrament involves special instruction for the parents. Notification to the Parish Office must take place before the child is born and an appointment made for a Baptismal Preparation Class. Baptisms are held every other month on Sunday at 3pm. Baptism classes are the 2nd Thursday of the month at 7:00pm when there is a Baptism. Saturday at 4:00 PM or by appointment. The Pastoral Guidelines for Marriage Preparation are that a minimum of 8 months be set aside for personal preparation for marriage. Also, the couple or one set of parents need to be a registered member of the church. Couples should refrain from setting a firm date until after they have met with the Pastoral Associcate to discuss marriage plans.